Pop! 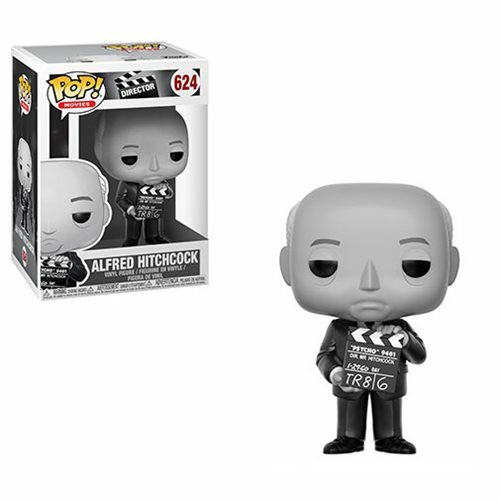 Obsession: Alfred Hitchcock Directs You To Get His New Funko POP! The greatest director of all-time? Many would say that label is befitting of the great Alfred Hitchcock, whose resume includes some of the greatest movies ever: Rear Window, Psycho, Vertigo, North by Northwest, The Birds, and plenty more. And while he's long been gone, Hitchcock may have just achieved his greatest feat now that he's got his own Funko POP Vinyl. That's right, Hitchcock is the latest director to be given the Funko treatment, following James Wan, Guillermo Del Toro, Taika Waititi, and Paul Feig. Good luck getting any of those on the cheap, by the way. Anyway, Hitchcock's comes appropriately enough in black and white, holding a clapboard for his famous horror, Psycho. Pretty cool. My Pop! obsession may have waned some, but I definitely need to get my hands on this one, especially since it's so readily available. You can pre-order it now from our friends at Entertainment Earth, who have the best prices and customer service for collectibles anywhere.